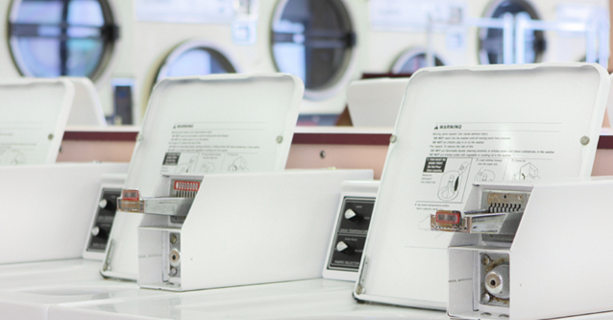 Do your own laundry in our coin-operated machines. All machines accept quarters. Relax and enjoy plenty of room with 10 folding tables, read magazines or help yourself to the snacks in the vending area while you wait. 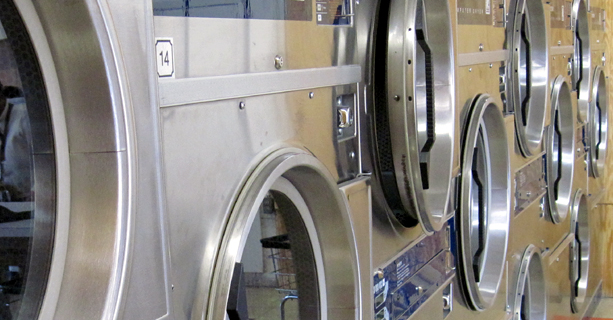 Do up to four loads of laundry in one of our large-capacity washers! Our top and front-loading machines make self-service laundry an efficient and cost-effective solution for all of your laundry needs! Drop-off your laundry and let us do the work. We provide professional quality service at the lowest price in Knoxville. Pick-up and delivery available. Avoid traffic jams with our convenient location. Park close to the doors and take your cart into the parking lot to transfer heavy loads of laundry with ease. Take advantage of our commercial laundry service today! We save businesses time and money with our free pick-up and delivery service. Copyright © 2010 & 2011 The Laundry Room, Inc. All Rights Reserved.